Summer is here, and what fantastically warm weather we’re having! Whilst there’s plenty of fun in the sun to be had, sometimes we need a little cool down, whether you’re revising hard, busy working or simply in need of a break. 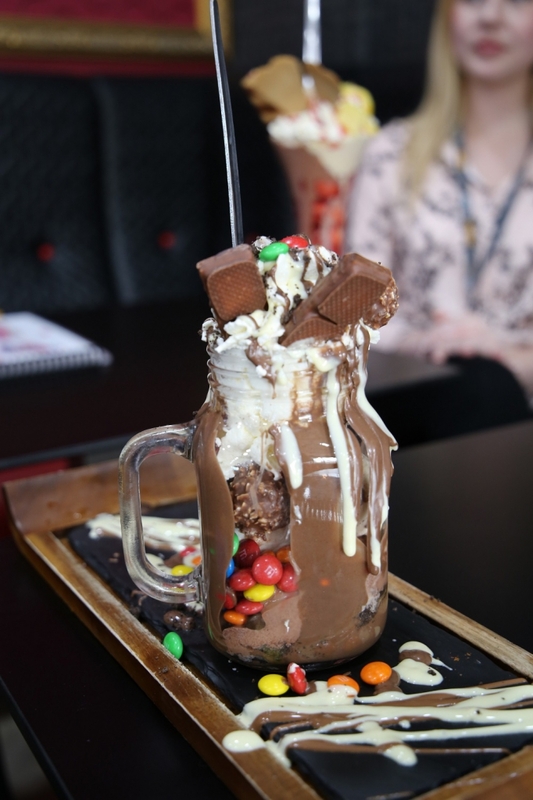 As you know, DisCUss are always seeking out the coolest places in Coventry for you (we’re awesome like that)…and in this heat they don’t come much cooler than an ice cream parlour, right? Sprinkles Gelato Bar in Coventry is the most recent addition to the city’s surprising number of dessert speciality outlets. The franchise chain, which also operates stores in Brighton, Poole and Southampton, has now come to Coventry and aims to satisfy the city’s demand for authentic Italian gelato ice cream. Billed as the ‘Gelato Extraordinaire’, we couldn’t wait to try it out! The Coventry branch is close to the city centre and boasts a spacious parlour within a grade-II listed building, overlooking Millennium Place. 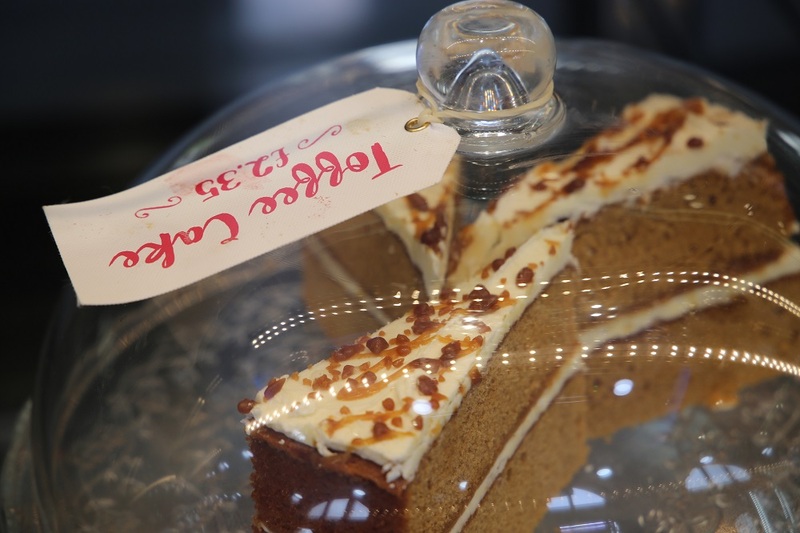 Just a ten minute stroll from campus, and conveniently located near the main Coventry bus station, it would be a fun place to meet with your mates after studying or ideal to take visiting friends and family for a treat. Their opening hours are also unusually extensive, opening seven days a week, from 7am (breakfast dates, anyone?) until midnight! We visited mid-week, just after lunch time. 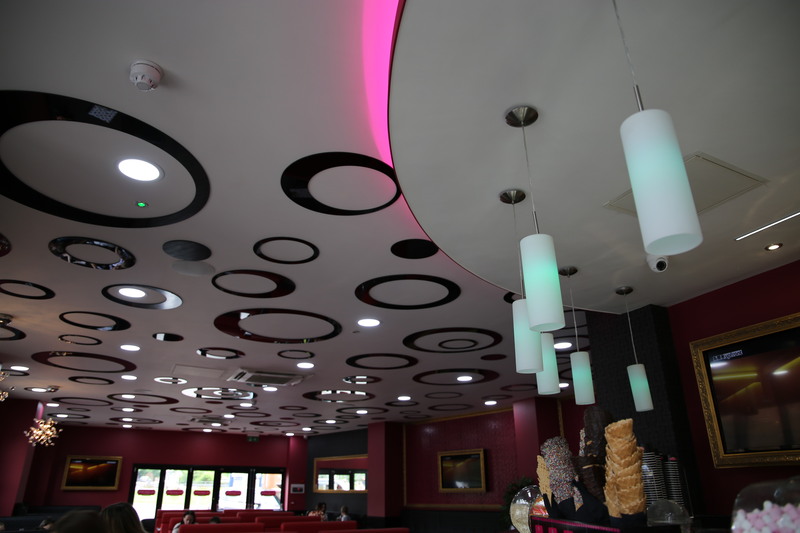 A long glass counter displaying a colourful array of delicious gelato and ice cream flavours greeted us as we entered, with the gentle aroma of fruits and melting chocolate pervading the parlour. As one of Sprinkles’ biggest stores, there is ample seating and tables for groups or families. 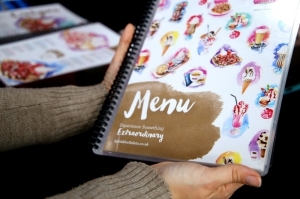 You can opt for ice cream to takeaway, choosing from a range of flavours from Oreo to Eton Mess, and an array of extras such as sauces, marshmallows, nuts and of course, sprinkles. 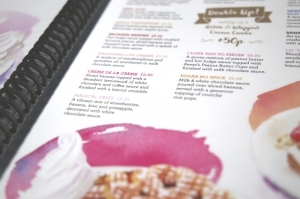 Alternatively, you can dine in and select a treat from their vast menu. 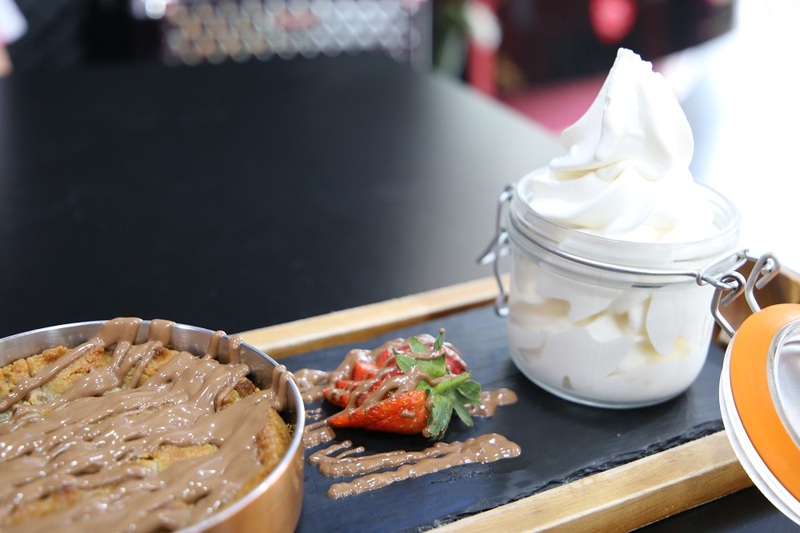 Dishes include signature ice cream sundaes, fruit sorbets, waffles and crepes. Cakes and puddings are available too, as well as Italian coffees and hot drinks. Sprinkles also provide a range of suitable dishes for those with special dietary requirements. 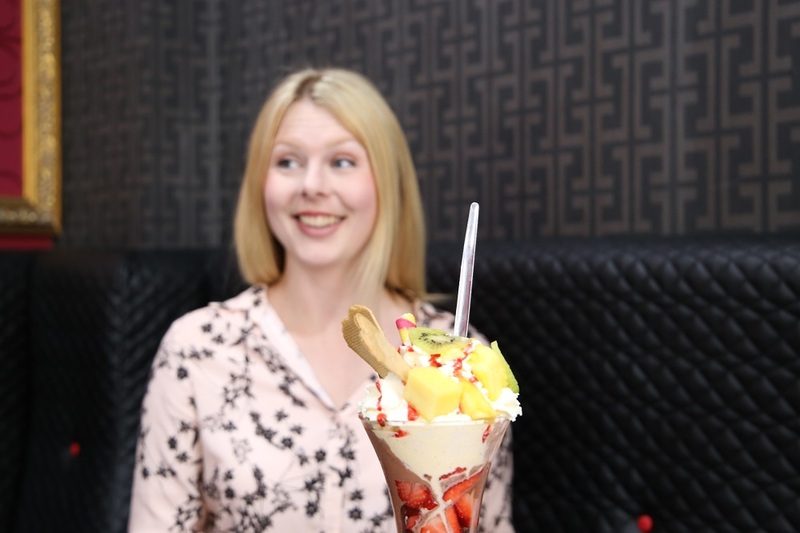 “I opted for a classic: it’s kitsch, it’s fun and nothing (ice)-screams ‘sundae’ more than the much-loved Knickerbocker glory! If you’re looking for the perfect indulgence this summer, Sprinkles has it in scoops! Whilst you may have to wait a little while for the dishes to be made fresh, it is worth the extra time. On balance, you’re not made to feel rushed, meaning you can fully relax and enjoy the experience. It’s not la-di-da: it’s fun, it’s modern and the Sprinkles team are passionate about providing a great customer experience. The menu has something for all tastes and budgets, and the portions are generous. Definitely worth a visit, check it out and try for yourself.  Find out more about student life in Coventry.